A beautiful example of Jack Laurent Giles genious and of the quality craftmanship of Sangermani. 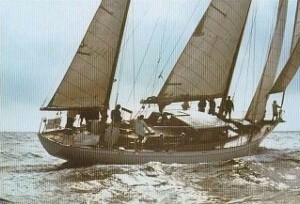 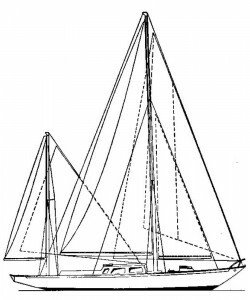 Alcor II was built for Spanish sailor Luis de Olano, in 1959, on a design from Jack Laurent Giles, by then already succesful in imposing his theories on light displacement for racing boats. 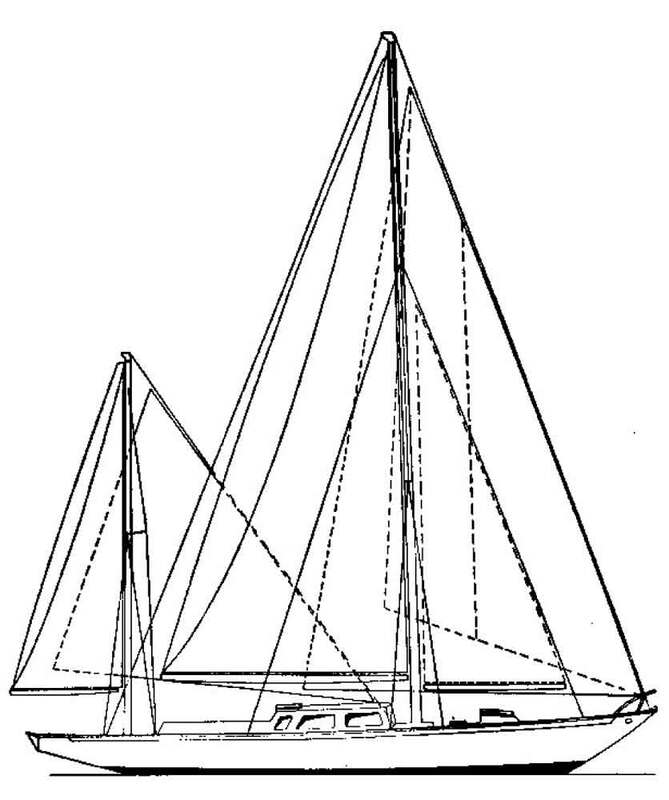 Alcor II is not at all a light displacement vessel, but has innovative features for her time as the separated rudder and her very long over-hangs that give her additional buoyancy in hard weather and while sailing down-wind and reduces wet surface when ghosting along in light winds. 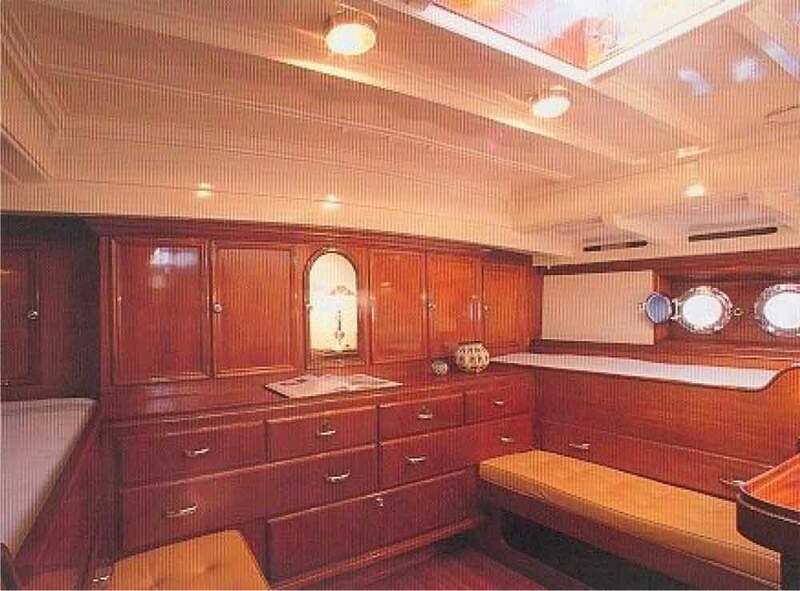 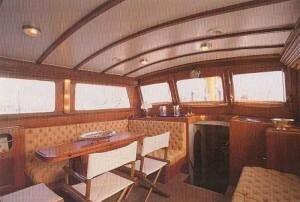 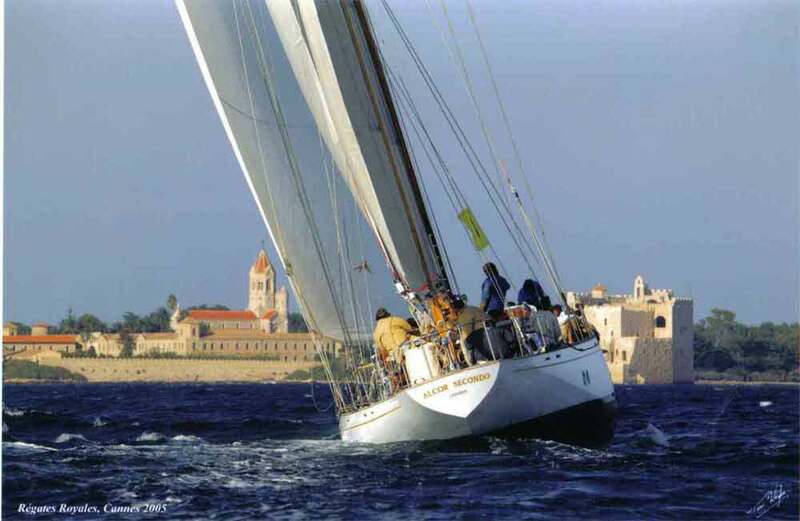 Thus she spots a very “mediterranean” design, although she is very able for atlantic crossings and world-wide sailing. 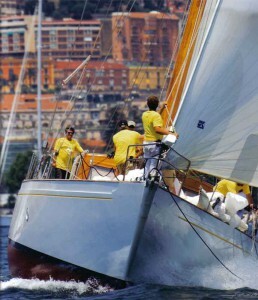 A model of this vessel is on show at the Real Club Náutico in Barcelona, her original home port. 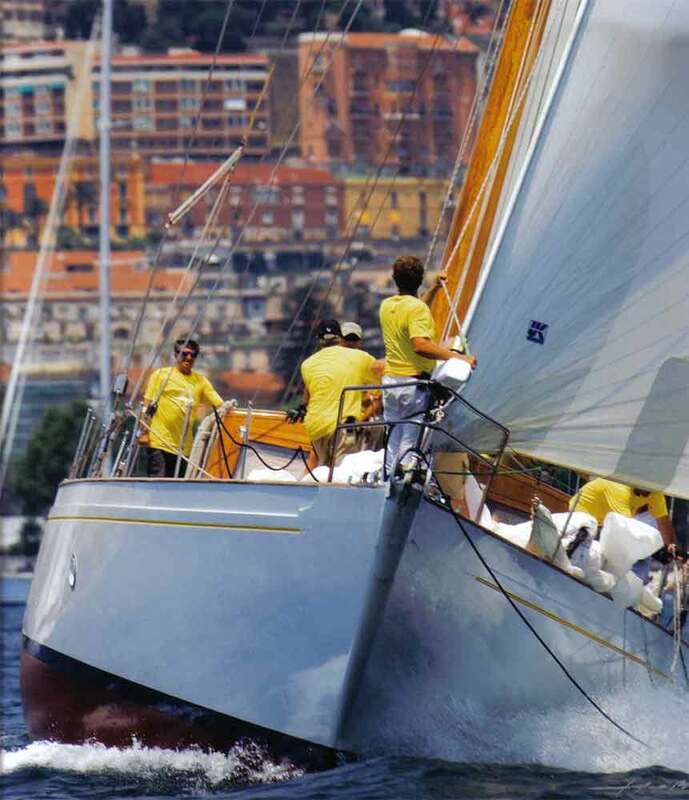 Alcor II is in outstanding shape and she has still her original powerful engine, a Rolls Royce of more than 300 hp.